The story behind this is that we were discussing the uses for video, and worked out that transcriptions are either costly or of substandard quality. 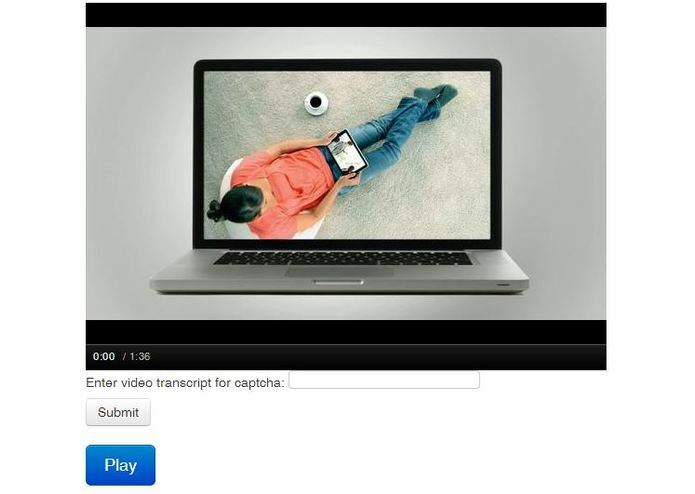 This sprung the idea of copying the reCaptcha Google idea, and instead of OCR image recognition use it for Transcription of videos. The applications for this are numerous, for instance use it for normal captcha purposes, or crowd source your transcriptions by letting users transcribe a piece of the video before watching the full video.